Hugh is a qualified, UK registered Social Worker, and after first practising as a social worker in the UK for five years, has been providing, supporting and managing international expertise in child care and child protection since 2000, in particular in Eastern Europe and Central Asia, but since 2012 as part of the senior management team in the secretariat of Family for Every Child, a global alliance of national NGOs. 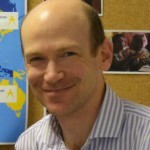 He has an MSc in Civil Society Management with a research focus on Government-NGO relations. Hugh is based in London. Lopa is an economics student and a post graduate diploma holder in software engineering started off her career as a social worker with a local NGO, about 16 years ago. She has been working with children withdrawn from situations of trafficking and sexual exploitation. She has had experiences of steering South Asian Regional Action Forums focusing on care and protection of children and women from sexual exploitation while working with Academy for Educational Development. During the past six and a half years she has been heading the child protection programmes of Terre des hommes Foundation in India. Lopa is based from India. Jade Tachie-Menson holds a Juris Doctor degree from the University of Michigan Law School in the United States and has diverse experience in international law, human rights and development issues. She has completed various legal and policy assignments for a number of international organisations, including the UN. 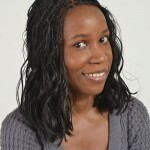 She previously worked for ECPAT International’s Africa Programme on combatting the commercial sexual exploitation of children in the continent, including supporting the establishment of a regional presence in Addis Ababa, Ethiopia. Jade is also involved in analysis work to review policies and plans of action related to child protection in West and Central Africa. Jade’s professional focal areas include programme/project coordination, legal and policy research and advocacy, civil society network development, and fundraising. Jade is based from Ghana. Maricruz holds a B.A. in International Relations and several post-graduate degrees in general management, human resources, research and gender issues. 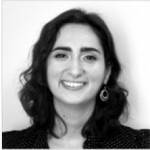 She has over 10 years experience as a project and operations manager, coordinating multidisciplinary teams in Latin America and other parts of the world, working with NGOs and start-up companies. 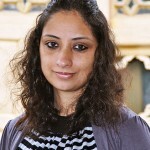 Most of her work with NGOs has been focusing on research, advocacy and public policy work for the protection of children from commercial sexual exploitation and gender violence. Mari is based from Argentina.